He was one of hockey's most identifiable enforcers, a player with a big presence on the ice and a big heart away from it. Hudella, the founder and president of the Minnesota-based Defending the Blue Line, a non-profit organization created by soldiers whose mission is to keep hockey alive for the children of military heroes, is still reeling over the death of Boogaard, an NHLPA member who was respected equally both inside and outside of the game. Boogaard, who played in the Western Hockey League (WHL) for the Regina Pats, Prince George Cougars and Medicine Hat Tigers, was selected in the seventh round, 202nd overall, by the Minnesota Wild in the 2001 NHL Entry Draft. His physical play and his reputation as one of the game's premier enforcers was certainly well-earned. But despite his imposing size – he stood 6'8” and tipped the scales at 260 pounds – Boogaard was beloved by those he met off the ice, a person whose warm demeanor made him a fan favourite in Minnesota, New York and beyond. Brandon Prust, who played with Boogaard in New York, and was roommates on the road with the imposing forward, has similar recollections. There are countless times, as Hudella recalls, where children that are part of the Defending the Blue Line program, literally and figuratively looked up to Boogaard. “Here's a guy that stands 6'8” walking out of the dressing room and the kids look up and see this mountain of a guy,” remembered Hudella. “The kids thought he was awesome. He was absolutely there for them in every way. He was a nice, caring man. Derek would be the first one out of the locker room after a game and the last to leave. Prust saw Boogaard in the very same light. Prust was relieved he never had to drop the gloves with his former teammate. To Hudella, Boogaard was also a close and respected friend. Boogaard appeared in 277 NHL regular season games, tasked with the unenviable role of squaring off against some of hockey's toughest players at a moment's notice. And regardless of how long his career would have gone on for, Boogaard spoke with Hudella about a life in the military once he hung up his skates. Moments after speaking with NHLPA.com, Hudella texted back with one last thought on Boogaard. There are many, Hudella and Prust included, that don't need any convincing. 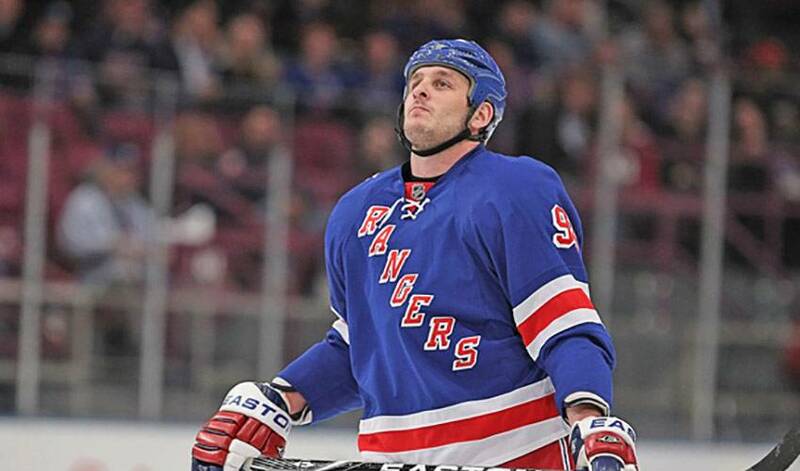 In lieu of flowers, the family of Derek Boogaard requests donations be made to Defending The Blue Line. His family would like to see Derek's legacy live on by supporting military kids & the game he loved. Donations may be mailed to: Defending the Blue Line, c/o Boogaard's Booguardians Memorial Fund, 1206 N. Frontage Road Suite B, Hastings, MN 55033; or made online at www.defendingtheblueline.org.